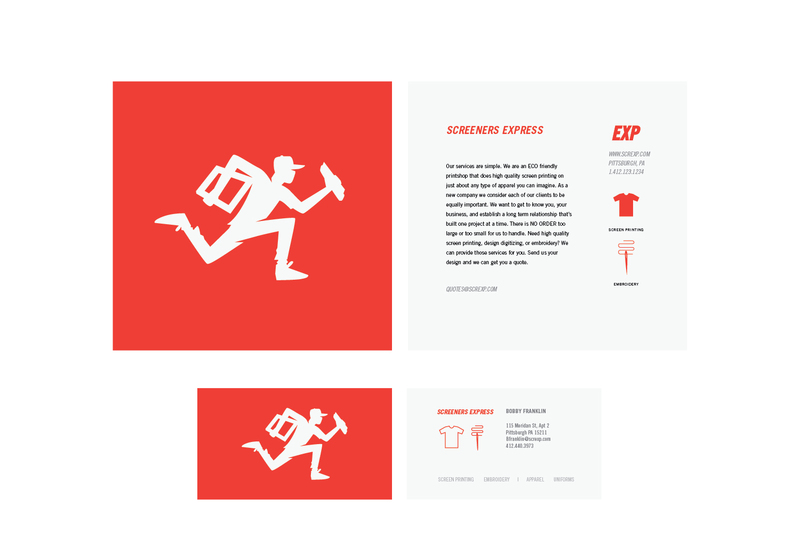 Screeners Express is a Pittsburgh based Eco-friendly print shop, approached Go Media for a fun and graphic mascot and logo design. 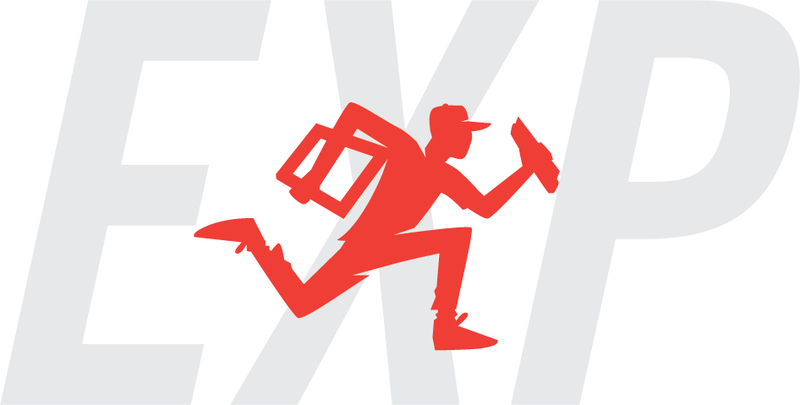 When Screeners Express approached us for an exciting and graphic mascot and logo design for their fledgling company, we were ready for the challenge. Screeners Express is an Eco-friendly print shop that specializes in high quality screenprinting on a variety of apparel types. Go Media is no stranger to screenprinting. In our early days, we designed more t-shirts that you could imagine, and we even screenprinted our own designs right here in our offices. This made us uniquely qualified to develop their branding and logo. We understand their business not only from the client side but the business side as well. We also created accompanying business cards, postcards and folders for client proofs. 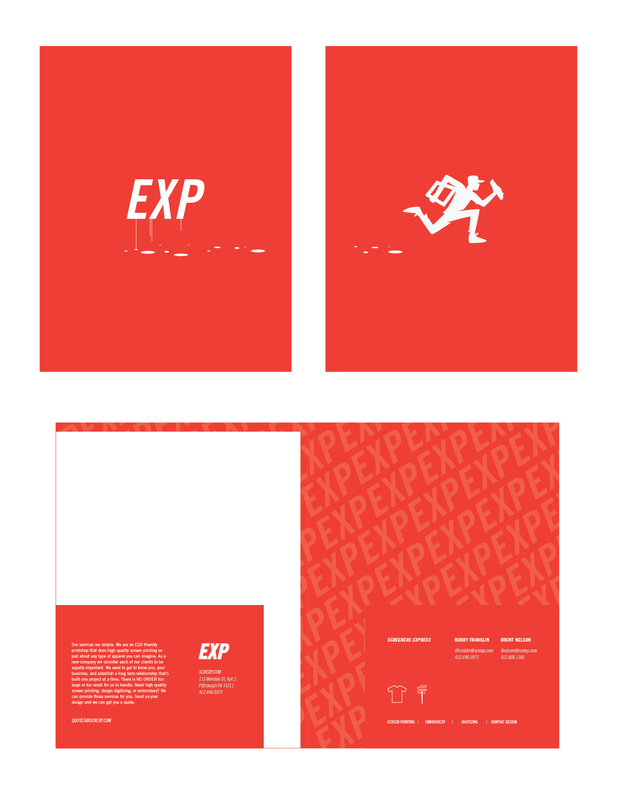 Because their brand name is on the longer side, we recommended abbreviating Express to “EXP”. The client loved this idea and went ahead with the change. You will notice on the business cards as well as the postcard that the client proceeded with our recommendation. Oftentimes when we begin designing, we notice ways to make brand identities more graphically appealing. Thankfully, Screeners Express was still in their infancy stage, so our suggestion was possible to implement.